Major studies have illustrated the negative impacts of genetically modified organisms (GMOs) on the environment and everything in it again and again. In the 16-year period between 1996, when GMOs were introduced, to 2011, pesticide use that was supposed to decrease due to genetic modification actually increased by 404 million pounds. Superbugs and superweeds that did not exist before are threatening crops and taking over the land. Independent studies continue to confirm this vast increase in widespread pesticide use is also killing America’s honeybees. Comparative studies have even shown that GMO food is nutritionally void and toxic; some 65 health risks have been associated with GMO in independent studies. The list goes on and on. Over at The Motley Fool.com, however, biotech giants like Monsanto, BASF, Dow and Syngenta can seemingly do no wrong. In fact, the site has declared that hating Monsanto actually impedes global economic growth. Seems sadly true at this point; with 3 billion acres of GMO grown in 29 countries in 2011, it’s everywhere and getting harder and harder to avoid all the time. 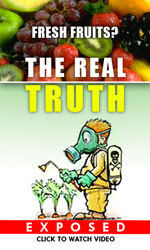 In addition to companies like Monsanto selling patented seeds and suing anyone who tries to reuse them season to season or who might find their fields unknowingly tainted by them, GMO has been found to continually require more and more pesticides year after year as pests become resistant. A study conducted earlier this summer by the University of Arizona discovered that five of the 13 major agricultural pests had developed resistance to genetically modified crops. It is important to note that each case of resistance was highly localized. Don’t let a study’s conclusion get in the way of the chance to publish more headlines that report the failures of biotechnology and jump on GM seed companies such as Monsanto, Syngenta, Dow Chemical, and DuPont. Farmers who buy and plant GM seeds are instructed to plant refuge plots, or a minority plot of non-hybrid seeds, that make up about 5% to 20% of each field. Refuge plots don’t eliminate resistant pests, but they are extremely effective at controlling their populations. So let’s get this straight: to keep superbugs at bay, farmers must plant at least some non-GMO in their fields? Here’s an idea! Why not just plant all non-GMO to keep all superbugs from existing in the first place? Supposedly because if everything planted was non-GMO, pests would automatically devastate crops. GMO is required, we are told. Two things are glaringly wrong with this logic. First, superbugs weren’t an issue until GMO became so ubiquitous. Period. Common sense aside, it has been scientifically confirmed over and over that if farmers never planted GMO pest-resistant seeds in the first place, tolerant superpests would not exist. Now that they do, farmers are forced onto a perpetual carnival ride that requires heavier and heavier doses of pesticide to keep them at bay. That may be why the EPA is set to raise the allowable pesticide limit in food, because when the government’s alphabet agencies can’t stop a runaway train, they just add more track instead. In fact, nothing about this says GMO will “feed the world,” one of many myths perpetually told by pro-biotech elements, because nothing about this is in any way sustainable. All of it requires companies like Monsanto retain increasing levels of control over the food supply — using the formula patented seeds + more and more pesticides — while raking in more and more profits. Second, agriculture has been around for thousands of years. Yep. It has. Somehow, apparently by magic, farming happened all these years without Monsanto’s existence. Although common sense should again suffice, science has yet to produce a study that shows that, without Monsanto, there would be no farming and everyone would immediately starve and die. But apparently we should just ignore logic and common sense, and instead we should just accept and love GMOs in the same way the people in the film Idiocracy loved Brawndo so much (to the general detriment of everything, basically). Be the first to comment on "Now Farmers, not Biotech Giants, Being Blamed for GMO-Spawned Superbugs"